Engage! Cleveland - Go Media™ · Creativity at work! Go Media was approached by local Young Professional group, Engage! Cleveland for a rebranding of their company. At the heart of what Engage! 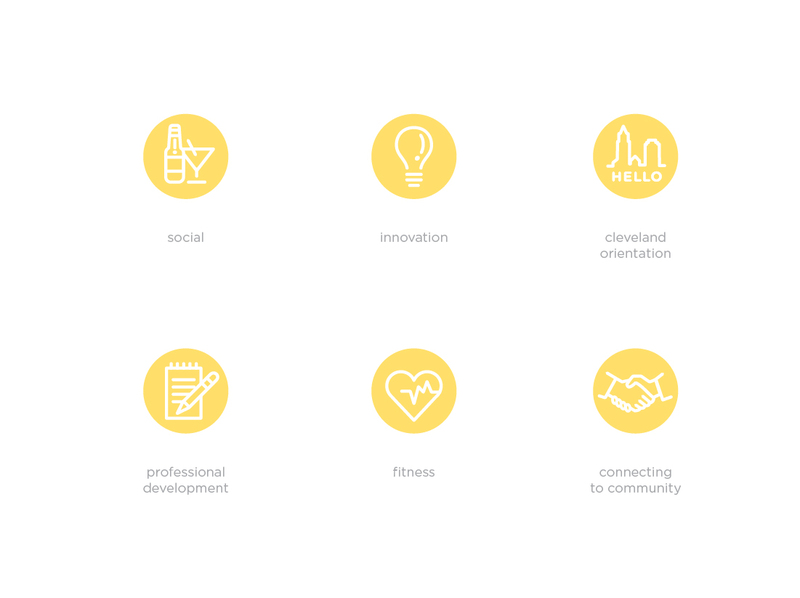 does is really about getting intelligent, young and ambitious Clevelanders together. The mantra of Attract, Engage, and Retain resonated within our team and that’s where we focused initially. Below you’ll see a walk through, albeit an abridged one, of our process for this project. By visualizing each aspect of their mantra, we were able to literally build a mark for the brand. 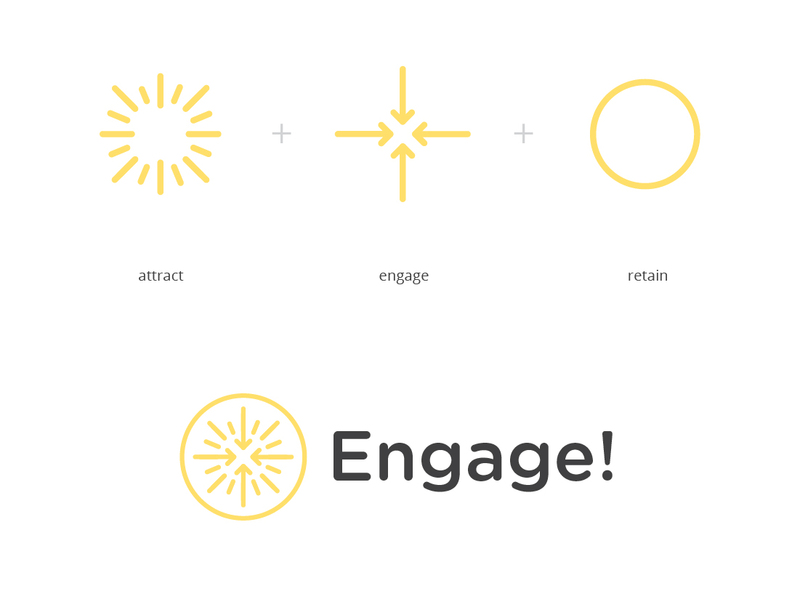 Attraction revolves around the simple visual hook of a glow, engage was about visualizing a sense of focus or bringing together, and finally retention is portrayed via a simple circle container. Add them together and above you see the initial pass at their custom mark and logo. 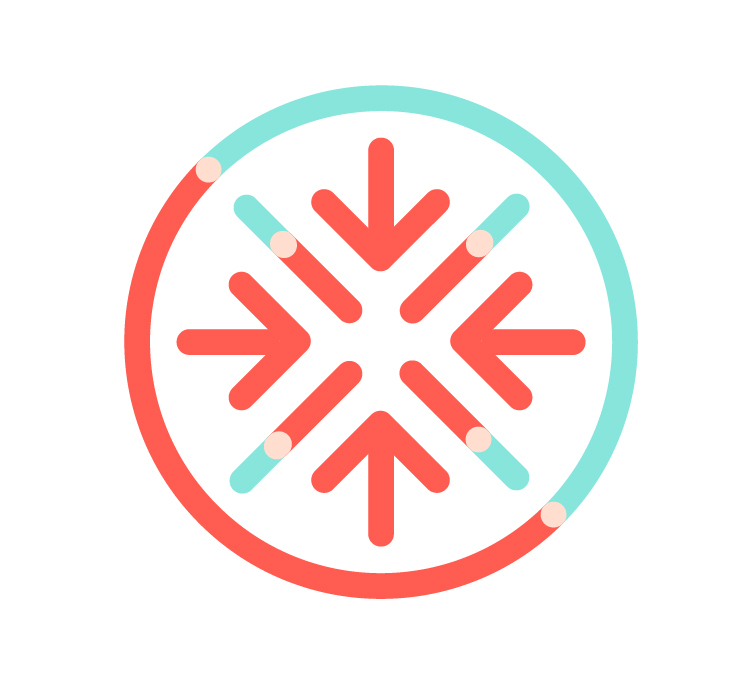 After that we moved on to how the identity could grow from here — using our custom symbol as a starting point, we developed ideas to help bring new useful elements into the fold. 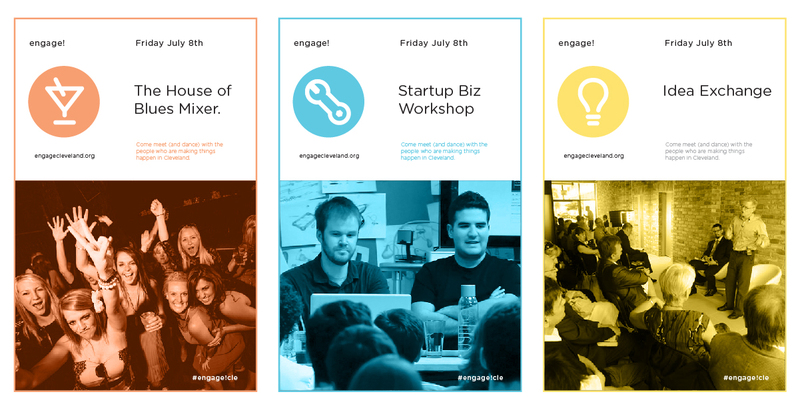 Flyers for the different event types that Engage! throws were explored, as well as unique icons for their different areas of focus. From here we further refined the Attract, Engage, Retain symbol. Bearing in mind the potential for animation, and how the elements themselves could reflect the ‘!’ in the their were considerations here.